Hi guys! I haven't been able to update in the last few days because I've actually been pretty busy (surprisingly). I said in a couple of posts back that I would have more time to blog now that it's my holidays but that doesn't seemed to be the case :/ I knew that I'd have things to do here and there, especially because my relatives from Sydney were visiting and staying in my city for a week. It turns out that ever since they've arrived, my aunties have planned to go out and about with them, except for today (hence I am finally able to blog now without feeling super tired!) It's been really enjoyable and I'm not complaining :] Just wanted to let you guys know what's been happening in my life. I'm so glad that GEO have created a new style of lenses that look really similar to my favourite World Series 3-tone lenses that I have. Now I hope to also be able to own the Berry Holic series and compare how similar or different they are to the first 3-tone series. I decided to choose to colours which I had never tried before which were turquoise and golden honey to review. The colour turquoise itself is a blue-green so I'm no surprised that they turned out looking blue in natural lighting and more green in flash photography. If I wear these lenses out I could get people to guess what colour my contacts are and they would probably guess green or blue since they're more common contact colours. 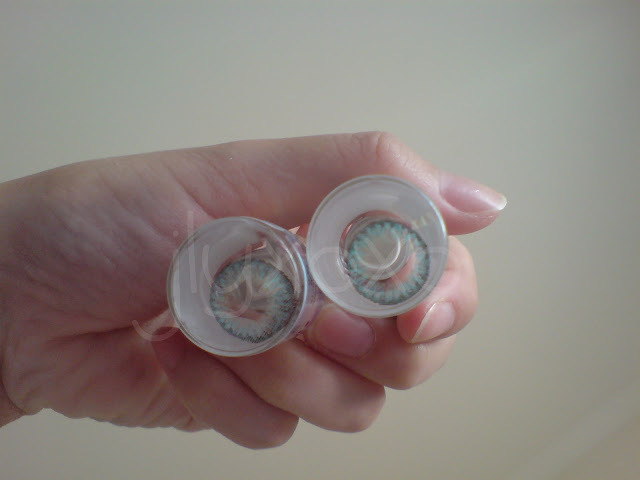 I'd be like 'nope, they're turquoise' :P I'm glad that there are turquoise lenses now, another natural-looking shade of coloured lenses. I reckon these stand out better than the 3-tone blue and green lenses which is great but look a bit more unnatural than blue or green lenses. 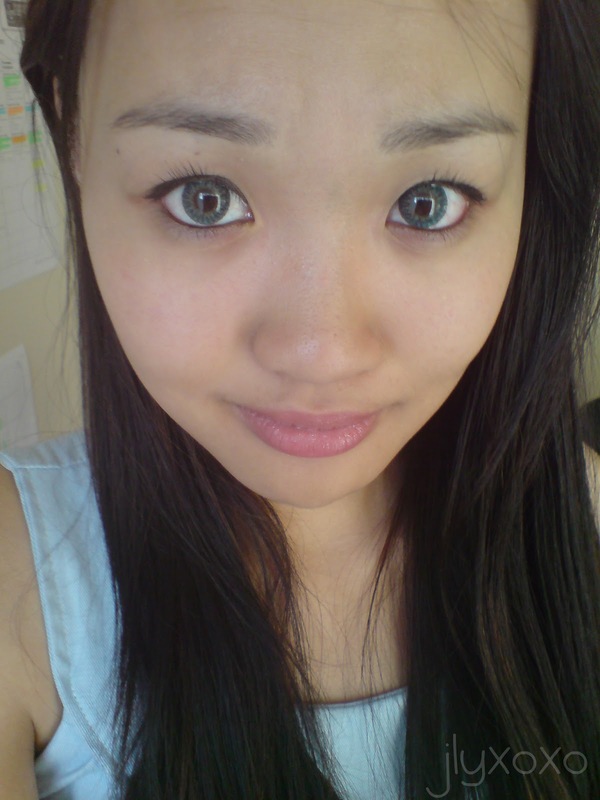 These lenses didn't blended as well with my dark eyes which made me look slightly alien-ish. Overall rating: 18/20 - Love it! Again, these totally go by the name of 'golden honey' and they are so pretty! 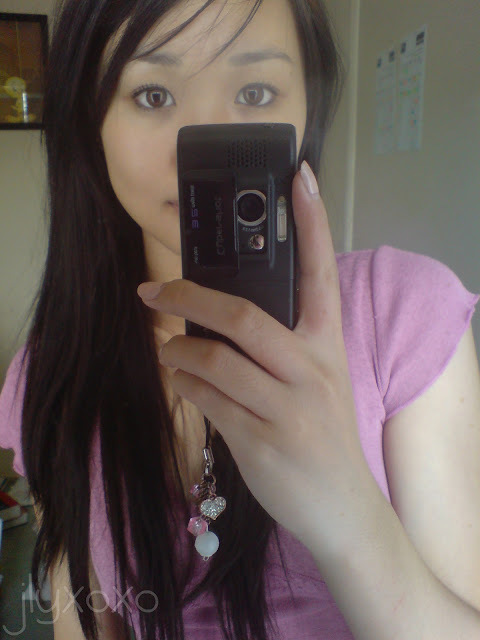 I love the colour of these lenses, they're a warm brown with a hint of khaki on the outer ring which I adore. The difference between these lenses compared to the turquoise ones is that the center rings aren't yellow/gold but instead they're a medium brown, therefore they blend better with my dark eyes. I'm very happy about there not being a yellow/gold ring in the center because these lenses would look less natural. I also want to add that I'm pleased with how they turned out in flash photography because they don't look too creepy or vibrant. 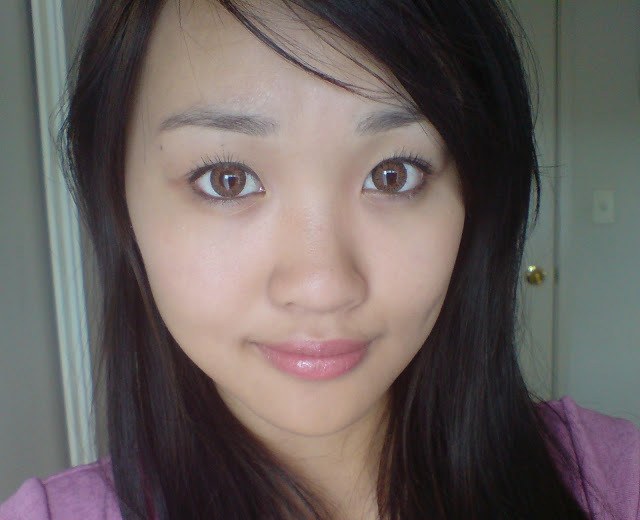 These lenses suit Asian eyes really well because to me they're not too light and not too dark. Overall rating: 20/20 - Love it! I seriously still can't get over how gorgeous these lenses are! Before I tried them on, I thought that they would look really light on my eyes but I am so glad that they didn't. I really hope to find/see/try more golden honey-like lenses. Thanks iCandy Style Lens for giving me the opportunity to try these lenses. It's a Samsung PL121 and my dad bought it for me as a month-early 18th birthday present. My birthday won't be until May 22 but I really wanted a new camera before then so he ordered it online and it came as express shipping a day before the Easter public holidays =] I've been playing around with it heaps and I love it. It's got everything I need and want in a camera with bonus features such as the dual screen with one at the front so I can have better aim when I take front-on pictures ;P Also good for video recording so I know whether I am in the frame or not. Hi everyone, hope you're all having a great week so far. This is only my second official day of holidays but I feel that it's already going by pretty fast haha D: Or maybe I'm just feeling paranoid about not wanting these holidays to end ;A; But anyway, thanks for the feedback on my previous post, I'll definitely take into consideration of the things you want to see on my blog. This is a bit of a delayed review and I won't be using the excuse 'better late than never' because it's always better to never be late lol. I was meaning to get onto this as soon as possible and I'm glad that I've got time now to do this post. About a month or so ago, I was contacted by Karyan who is the owner of iwantcute.com to review an item from her shop. I received them in about a week after they were shipped and she was kind enough to sponsor some hair extensions to try out. My hair is not fully black because I've dyed it and so my ends are brown. I was planning to dye my whole hair brown but I hate regrowth so instead I added some brown highlights to my hair. I did that to my hair back in January/February. Just informing you now that I decided to keep my hair straight for this, even though it would have been even better if I had waved/curled my hair. I was lazy, okay xD ? 10 pieces of hair extensions were plenty for me and I decided not to put all of them in my hair because it probably would have made it seem like I was wearing a wig due its thickness. So instead, I wore as many as possible to fit around my head... which happened to be 7. Even though 7 pieces made my hair look very voluminous and bouncy... it wasn't what I wanted. It looked a bit unnatural because even if I curled/waved my natural hair, it wouldn't be like that at all. And besides, it would be so obvious that it's not my real hair, right? I WAS going to leave it as it was with the pictures and review but then later on I decided to do a 'take 2' and have photos of me wearing less hair extensions. Plus, I decided to wear something white so it would be easier to see the length and the waves. I love how the extensions don't have that really glossy/shiny look in flash photography ^.^ They're well-designed and I can see how they're a great alternative to human hair extensions. People tend to prefer human hair extensions over synthetic ones because human hair extensions last longer, are easier to care for, can be washed/straightened/curled etc. and are less likely to become tangled or messy. I've never owned nor used human hair extensions before so I can't do a comparison however, I can do a comparison with synthetic hair extensions that I have owned before. All hair extensions, regardless of whether or not they are synthetic or human hair, 'start off' as being very shiny, silky and smooth (for instance, look at a Barbie doll's hair when it's brand new. After brushing the hair and playing with the doll, it becomes tangly). My old, straight synthetic extensions didn't last long and became tangled, knotted and hard to maintain within a few times of wear. I could not brush through them or use heat or else they would go very fuzzy. I never did anything to them except wear them but even so, they still frizzed up so bad that anti-frizz spray would not have been able to tame them. I hope with the hair extensions I have now won't do the same thing, but I can't be so sure. I don't think that my old hair extensions were made from Japanese materials so that could be the difference. I wouldn't have to worry if I had human hair extensions however, they'd be more expensive and personally... I wouldn't feel as comfortable with wearing human hair extensions on my hair. Call me picky but knowing that someone else's hair (could be more than one person's hair) is on my hair is a bit strange for me. It's like putting someone's nails on your own nails as false nails o_o Gross much? Lol! Okay it's not to that extent and the hair would be thoroughly cleaned and disinfected but you really don't know what they could have done with that human hair before all of that *shudders* There are pros and cons about human vs. synthetic hair extensions but I won't go into that. They're meant for extending the length of your already-waved hair but instead I'm going to use them to add volume and style to my hair without lengthening, or maybe just a little bit of lengthening. I reckon they're perfect for people like me who want to add some waves to dull straight hair without having to do any styling to the hair already on your head ;) I'll definitely be wearing these out to spice up my look a little! And on top of that you get FREE SHIPPING, how awesome is that?! What are your thoughts on hair extensions? Love them, hate them, find them tacky? Do you mind when girls wear hair extensions or do you think it's 'cheating'/fake?